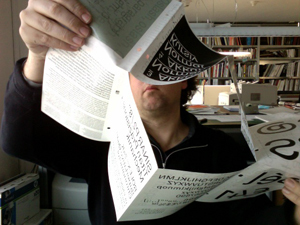 December 2010 saw the publication of the book I swear I use no art at all which displays and dissects the first 100 books designed by graphic designer Joost Grootens. The first edition of 1000 copies was sold out within weeks. Grootens decided to track down the whereabouts of these copies of his 101st book design. 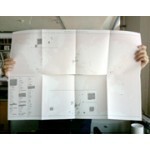 December 2010 saw the publication of the book I swear I use no art at all which displays and dissects the first 100 books designed by graphic designer Joost Grootens. The first edition of 1000 copies was sold out within weeks. Grootens decided to track down the whereabouts of these copies of his 101st book design. 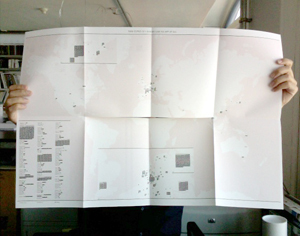 Book 101 contains the resulting world map and a description of the design and production of Book 101 itself.